What happened to the Indigo? Geoff Brandon had big plans for what, up until 2005, had been Club West. 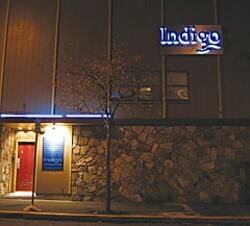 The computer consultant/stock-car racer bought the Eureka business in July of that year and in November reopened it as Indigo Nightclub and Lounge. Since then it's been a treacherous trail of hardship and pitfalls. Now, two years and one month later, the club that was once West is changing hands again. "Basically, I misread the market," said Brandon in the simple upstairs office of the nightclub. The evidence of moving on was lying about in boxes and packing paper. Brandon explained that before opening the Indigo he had worked as a bartender at Club West and had experience in the nightclub industry. He talked to people in the community and decided to buy the venue and turn it into an upscale, classy nightclub. "The whole time I was here I just tried to accommodate what the general public wanted from a night club," he said. So he redid the whole venue: Italian tile in the entryway, a balcony, lounge area, VIP seating, indoor smoking room, couches, improved acoustics and sound equipment. With a snazzy new name, he tried to shed the previous stigma that Club West carried. Steve Watts owns Passion Presents, a local promotion company that worked with Club West and later with the Indigo. Watts saw the Club West stigma of gang activity and fights surrounding the dance club, and it being a "Eureka teen hangout," affecting the patronage of The Indigo. As Watts noted, Brandon made some big changes. 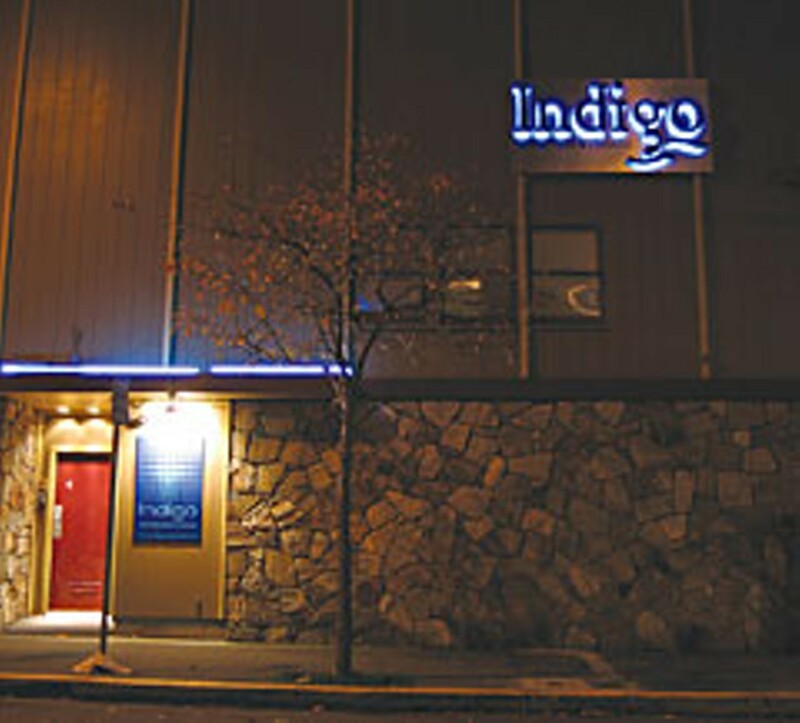 "The club was kept cleaner and nicer, upgrades that shouldn't be ignored — but [The Indigo] didn't regain a population," he said. "People would think, ‘Isn't that the same old Club West?'" Brandon said. "People didn't feel like the remodel we did was sufficient to change it to a different club. Some people still don't come here because they think it's Club West. "We spent a large amount of money to be a new club — not be Club West. A couple of those things backfired on us." One of the first changes was instituting a dress code to cut down on the fights. "No jerseys, no hoodies, no baseball hats," Brandon recalled. "Not the best business decision on my part, but it did cut down on the problems I was having. Was able to cut down my security by 75 percent. The EPD and ABC (Alcohol Beverage Control board) were very happy." They also ended the LGBT (Lesbian, Gay, Bisexual, Transsexual) night, Club Triangle, to distance themselves from what Club West had done. When Brandon saw the number of patrons dropping, he decided to bring back the LGBT night, but had already lost that clientele to bars in Arcata that picked up the slack. In Brandon's analysis, music was key. "Hip hop music in general is the problem," he said. "Today's youth, they don't have the respect of previous generations to each other as people. I also think that the lyrics of these songs, they have attitude and some of them are just looking for trouble." While his initial plan was to cater the venue to the 30s-to-40s crowd, he eventually found that those people don't go out enough to support a venue that large. When Watts brought in guitarist Derek Trucks, the show didn't sell out, even though it was right before Trucks went on tour as Eric Clapton's lead guitarist. Watts said he's sure the show would have sold out at a different venue. "Those fans didn't want to go down to the neon lights, dance club background," he said. As Brandon explained, in general the business' overhead is far too great to sustain just doing live shows. It's a gamble bringing in expensive bands not knowing if you'll have enough patrons at the show. Although he felt the promoters and bands in the community embraced the Indigo, it turned out to be too large a venue to turn a healthy profit off live shows. Then there was the glitz factor. What Brandon envisioned was a bit of the Big City in Humboldt: people lined up, all dressed up and ready to party late into the night, a doorman making sure only the beautiful people get in and the dance floor is packed with fun lovers. He soon discovered that people in Humboldt don't want to dress up and go out. "In the city people dress up to a certain extent all the time," said Brandon. "Here you see 50 guys and girls in Humboldt hoodies and that's the dress code. The people who like to dress up and come out, they do and have a great time, but there are people who don't like to dress up and want to sneak their own booze in. The crowd in Humboldt doesn't want to take the pride in dressing up and going out." As his initial plan foundered, Brandon tried various promotions before calling it quits. He tried installing poles and cages to attract girls wanting to strut their stuff and guys wanting to watch. "The cage dancer promotion brought a lot of guys out, but not so much with the girls," said Brandon. "In San Francisco and L.A. it's very popular for girls to take pole-dancing lessons and we thought we would get the poles in here for people to play on." Although it's very common for there to be dancers in clubs and bars in the city, people in Humboldt thought they were strippers. "Foam parties were successful, but expensive, and they lose their pizzazz. People loved it, but it's hard to do it and not have people get burned out." Solution for a night, $500. Mat rentals so people don't slip, $200. Evening of soapy fun for all, priceless — at least in theory. It's all for sale now, so if you want to have your own foam party give Geoff Brandon a call. Plans for the future are uncertain for Brandon, but the club has an interesting twist in store. Justin Ladd, owner of Arcata's The Alibi, is buying the building and liquor license from the club's previous owner, Court Roberts. (Brandon was leasing from Roberts.) The new club will be called Aunty Mo's and is planned to be a LBGT club. "There's really not a lot in the LGBT community here, there's no, like, main focus," said Ladd. "I'm hoping that with the club we can eventually get a space for a community center." Monica Topping, from KSLG, is excited about the changes. "It's been a shame, the last few years, watching that club move further and further away from being a live music venue, like it was when I was in high school," she said. "Given Justin's history with the Alibi, I really hope to see this club move back toward live music, not just ‘club nights.'" Some of the many changes Ladd plans on instituting will be having charity events on Sundays. After slowly opening the businesses over a couple months he plans to start doing live local and touring musical acts. He wants to make time to "make sure the staff and community are all in agreement on what's happening." A grand opening event will take place Feb. 8. Ladd will be hiring new people to work the new club. "We'll probably have a staff of 15, and that's 15 personalities and 15 attitudes that I have to deal with," he said. He's not looking outside the county for employees (contrary to rumors flying around). "The scariest thing to be is having to hire people that I just don't know," said Ladd. The daunting pitfalls and struggles of the club's previous owner doesn't worry him. He believes that "a place's history doesn't determine it's future," and said he isn't worried about the club's past. "A general good staff and good rapport with customers is going to be the main thing," he said. "I think that's really what can make a business work." Brandon said he's thinking about going back to computer consulting and wishes Ladd the best of luck, adding, "My only advice is to do anything excepthip hop."